“Life – and weekends – are short, so play hard,” could be your motto. Maybe you choose day hikes instead of multi-day outings because you want to squeeze some climbing, a paddle or a mountain bike ride into your action-packed itinerary. With that in mind, we lightened-up our ATC concept to create an extremely versatile, modern outdoor shoe that you can wear to office, on your day hike and then when you hoist a few post-hike pints. 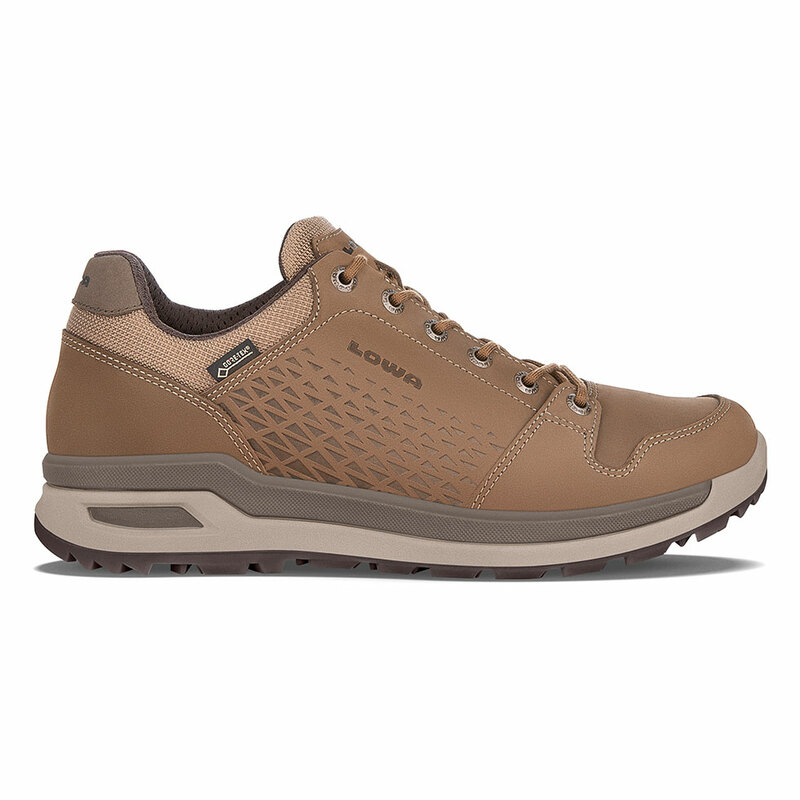 Although light and sleek, the Locarno remains true to its core outdoor roots, featuring essential design details to keep you moving comfortably on the trail. Its new Inverted MONOWRAP® frame construction with a hybrid DuraPU™/DynaPU® midsole offers superb support, rebound and shock absorption, and the lower profile outsole offers a nimble, close-to-ground feel. Durably waterproof/breathable.